Gardeners of any skill level can create a personal horticultural reference with this structured journal. 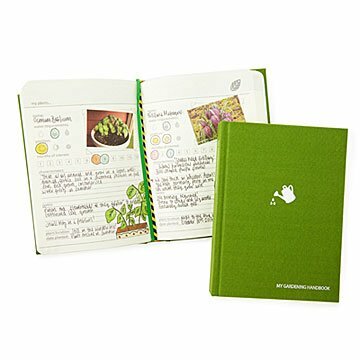 Filled with handy tips and secrets, this high-quality, structured journal makes a useful and beautiful gift for any kind of gardener: indoor, outdoor, neophyte, or old hand. Designed in London. Made in China. This gift is for my mother-in-law she loves to garden and I thought this would help her keep track of all her flowers.